First of all, what’s the difference between a transmission rebuild vs. remanufacture? Rebuilding a transmission is an in-depth process that requires a significant amount of labor. This involves removing the transmission, inspecting, cleaning and replacing “hard” parts and then reassembling the transmission as a completed unit with all of its “soft parts” or seals, gaskets, clutches, and bands. At the end of the day, this process requires a specialist. 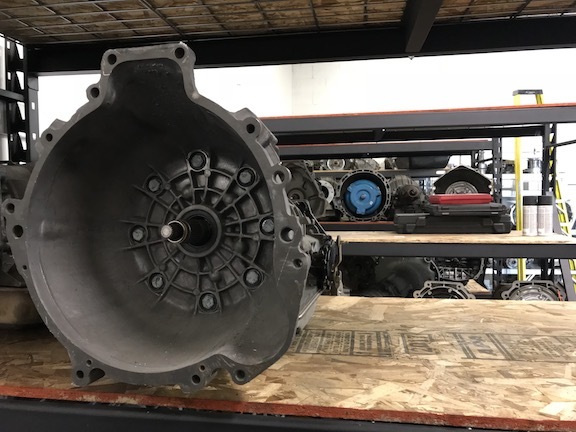 A remanufactured transmission or “reman” is the same as a rebuilt transmission, but the work has already been completed by a remanufacturer to factory or “OEM” specifications. A team of specialists typically complete this work. They’re the ones who tear down and inspect all the components of the transmission, replace hard and soft parts and then reassemble it as a completed unit. This completed unit then sits on a shelf in a warehouse, waiting for installation into a vehicle. Repairing your transmission could mean anything from replacing a single part to a series of parts. 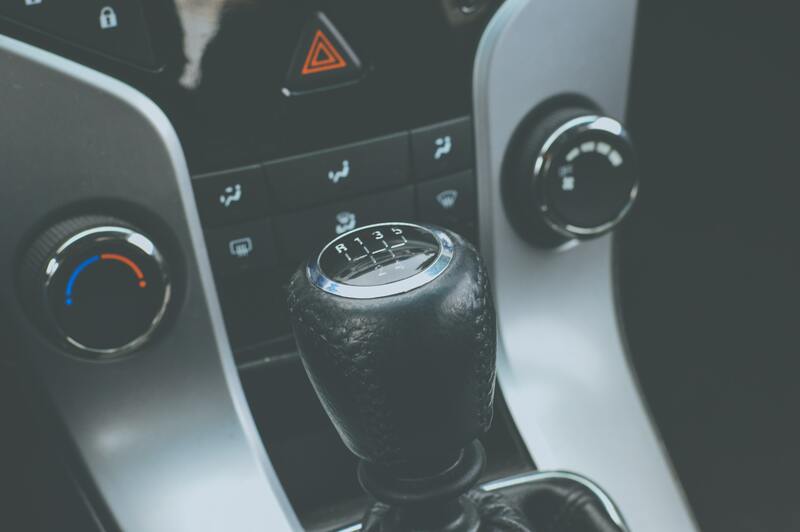 Components like input shafts and solenoids may be replaced with relative ease, saving you time and money over a full-blown transmission rebuild. If your transmission is leaking fluid, it may just require replacing seals or gaskets. In both of these instances, the specific part may be covered under manufacturer warranty. If the specific part is not covered under warranty or your mechanic finds that your transmission needs more extensive repairs, then you may be in for a full transmission rebuild. This is where things get costly. General mechanics don’t often take on specialty transmission work like this. That means that you’ll have to visit a transmission specialist. A rebuilt transmission may cost you between $2800 and $3800 depending on labor, parts and unforeseen circumstances. This is still relatively cheaper than a new transmission, which could cost between $4000 and $8000 depending on the make and model of your vehicle. How long does it take to rebuild a transmission? Along with money, time is also an important factor when considering a transmission rebuild. If your transmission is simple and widely available, a specialist may be able to rebuild it in a day. What you really have to factor in is how much time it takes your transmission specialist to diagnose the problem, remove your transmission, order parts (if necessary), complete the actual rebuild or repair and then reinstall the whole unit in your vehicle. There are also other factors that determine how long it takes to rebuild a transmission, but generally, a transmission shop dedicates a full day to each step in the repair or rebuild process. When it comes to cost, labor is the biggest factor to consider when rebuilding a transmission. Experienced transmission rebuilders may average two common transmission rebuilds a day, but more complicated transmissions may take a full day to rebuild. Exotic and European models also add more time to the process given their complexity and specialty components. Why a remanufactured transmission is a better solution. Remanufactured transmissions save you and your transmission specialist time – bottom line. In a rebuild situation, the transmission must be removed, disassembled, parts purchased, reassembled, and installed back in your vehicle. All of this can take 3 to 5 days. 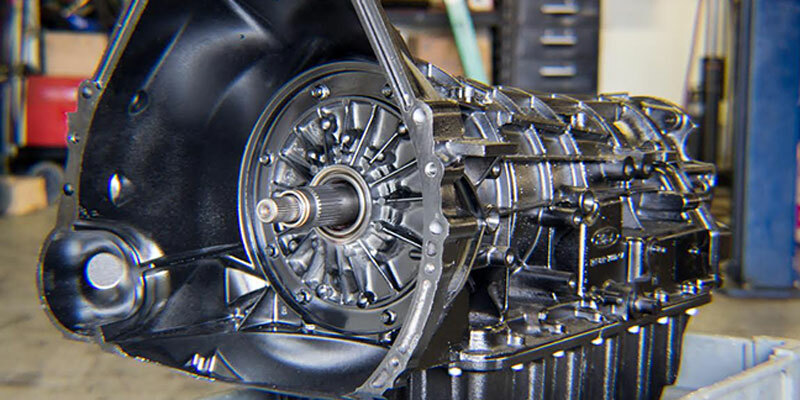 Remanufacturing a transmission involves completely restoring a transmission back to factory (OEM) standards. Because a remanufactured transmission is already complete and shipped directly from the remanufacturer there’s no need to spend time rebuilding. If your vehicle has a common transmission type, a wholesale retailer probably has a fully remanufactured unit already in stock and available. The time it takes to get you back on the road now only depends on ordering, shipping and installing which could take only 1 to 2 days. Remanufactured transmissions are also checked for quality and tested on a dynamometer or “dyno” to measure torque, power and RPMs, all to make sure that the transmission works properly and meets OEM specifications. Remanufactured transmissions also frequently come with a manufacturer warranty that’s good for around 3 years – something you won’t find when rebuilding a transmission. Connect with General Transmission Today! If you have any questions regarding a transmission rebuild, repair or remanufacture, give General Transmission in Reno a call today. Were a family owned transmission repair shop built on values and integrity and we’re more than happy to answer your questions.